Lesley and Tom welcome you to Orchardene a Cotswold stone cottage, built in the early 1820's, in rural King Stanley close to Stonehouse and Stroud. We pride ourselves on being a traditional Cotswold bed and breakfast where the welcome is always warm and the breakfast is hearty. 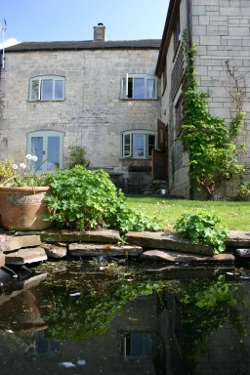 If you have had a long day walking the Cotswold Way or a busy day visiting one of the Cotwold's many attractions Orchardene is the ideal place to relax and unwind. Perhaps stay a few days to explore the local walks, (routes can be provided) and see the sights that this still undiscovered area of the Cotswolds has to offer, or stay with us if you are walking the Cotswold Way. Another very welcome stop on our journey along the Cotswold Way, Many Thanks. Very friendly - Lesley & Tom made us feel like we were at home, Thanks!